Mark Durden-Smith is one of Britain’s most versatile presenters, with the kind of charm and spontaneous wit that makes him a natural choice for corporate events. 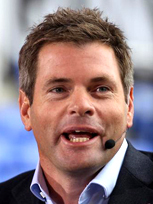 In August 2010, ESPN announced it had signed Mark Durden Smith as lead presenter of its live coverage of Aviva Premiership Rugby. 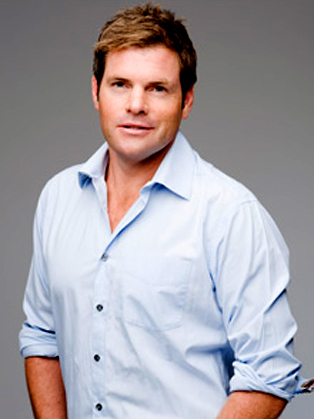 His on-screen career started in sports, fronting Sky’s Bafta-winning rugby coverage from 1997, and he then moved into entertainment. Most recently, he presented the eighth series of ITV2's I’m A Celebrity Get Me Out Of Here Now! and The Underdog Show with Tara Palmer-Tomkinson on Living. In 2007 he presented a new series for ITV1 called Wish You Were Here – Now And Then and ITV2's Soapstar Superstar Bonus Tracks. He also fronted ITV1's Boat Race Coverage which was nominated for a Broadcast Award. Mark has hosted a variety of events, for clients including O2 (Scrum In the Park), Britvic, The Carphone Warehouse, Jet Airways, The Police Bravery Awards and the Nottingham Restaurant Awards. My client was absolutely delighted – I’ve had so many emails and texts singing his praises. He charmed the pants off everyone at the event. I have been doing the show for 6/7 years and he is by far the best person we’ve had to date. It is a busy day, with lots of meeting and greeting, and Mark was as polite and interested in the 100th person as he was with the 1st! He made my job so easy. I would recommend Mark any day. Please pass on my HUGE thanks!"